Are music brands annoying their social media fan base? Are Music Brands Ready for Generation Z? Do You Know How Your Music Brand Is Perceived? Everyone Talks About Content. What Exactly Does That Mean For Music Brands? How Do Music Brands Know When They Need an Ad Agency? Is Anyone Paying Attention to Your Music Brand’s Content? Marketing to Women: Are Music Brands Doing It Wrong? NAMM is over. What’s next? Psst…want to know the secret of sales? Should music brands enlist celebrity artists to give marketing efforts a boost? What Are Some of the Things the Best Music Brands Always Get Right? What Can An App Possibly Do For Music Brands? What Makes Music Brands Cool? Why Is Innovation So Critical To Music Brands? You’ve made the sale – now what? Sound Marketing sits at the intersection of music, sales & marketing. We explore how insightful strategy, focused tactics, and organizational change will help manufacturers be heard over all the noise in the musical instrument marketplace. 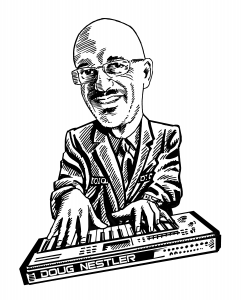 My name is Doug Nestler, and I’ve spent 38 years—still going strong—in sales & marketing. My resume includes roles in all areas of channel management and distribution, and Sound Marketing is a way to share my expertise with you. Join over 2,000 musical instrument and equipment manufacturers to get the latest music industry news.